Since the Dementia Friends team launched the resources for delivering the Information Session to children and young people in 2014, over 100,000 young people have become Dementia Friends! 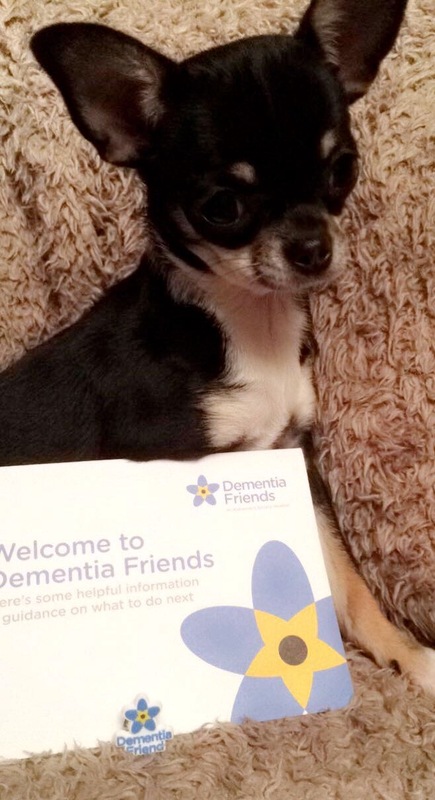 Thank you to everyone who has used these resources to create Dementia Friends. By involving children and young people in the initiative, you are helping to create a generation of young people who are not afraid to speak about dementia and make people affected by dementia feel involved in their communities. We want to make it even easier for you to use the resources and deliver the Information Session to children and young people, so we’ve made some changes to the resources. Now you can access separate handbooks of Information Session resources for delivering to 6-8 year olds (Key Stage 1), 9-11 year olds (Key Stage 2), 11-13 year olds (Key Stage 3) and 14 to 16 year olds (Key Stage 4). You can access these handbooks and accompanying resources on your Champions dashboard under “Session resources” and “Children and young people”. 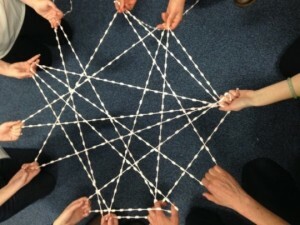 The guidance for these activities varies slightly for each age group. If you are delivering the Information Session to 14-16 year olds, you can use standard Information Session resources from your handbook, with the top tips available on your dashboard. These resources should be delivered to a group who are under the supervision of a group leader who has DBS clearance. We always suggest that you always speak to the teacher or group leader before the Information Session, to work out which resources are most suitable for the group. 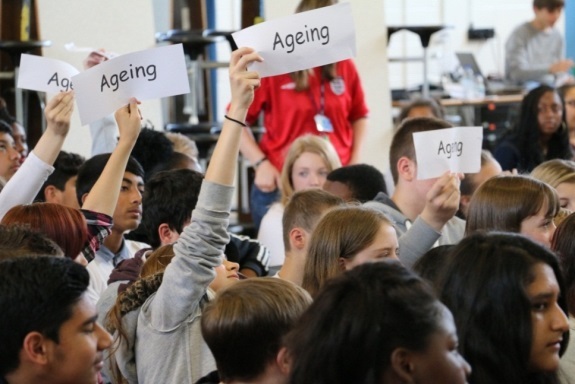 Alongside these resources you will also find some frequently asked young people’s questions, further reading and resources for children and young people and 15 minute pitch for secondary school assemblies. 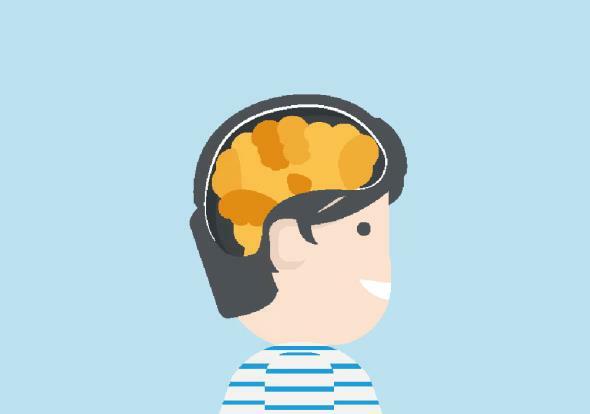 If you would like to find out more about delivering the Information Session to children and young people you can attend a webinar on the resources. 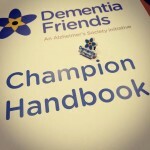 Please visit your Champion dashboard or speak to your Dementia Friends Officer to sign up. To speak to like-minded Champions who are interested in delivering to children and young people, why not visit the Champions Exchange? Please get in touch with your Dementia Friends Officer if you have any questions about the resources or delivering to children and young people. 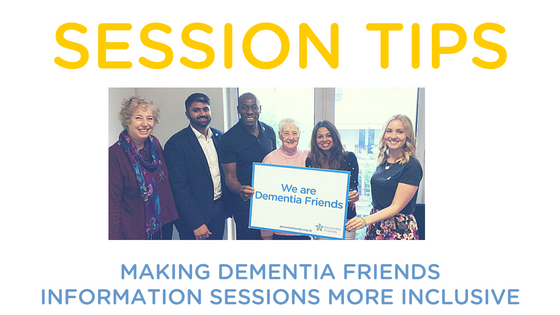 This entry was posted in Champions Corner, Session Resources / Tips on March 9, 2017 by Dementia Friends. This entry was posted in Champions Corner, Session Resources / Tips on August 4, 2016 by Dementia Friends. 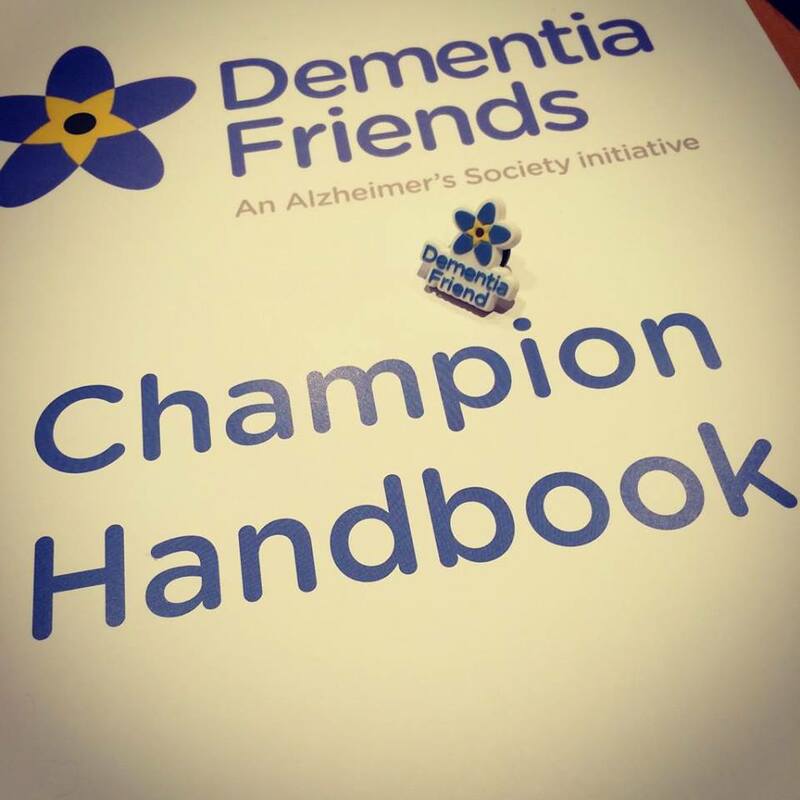 To ensure the Dementia Friends initiative is giving out the most relevant and useful information, we are constantly looking to develop and improve our programme, by sharing best practice and responding to feedback given by people living with dementia and you, our Champions. With this in mind, we have updated one of the Bingo/Broken Sentences statements to give practical tips about how best to communicate with people who are living with dementia. It’s important that you familiarise yourself with the changes. This entry was posted in Session Resources / Tips on August 5, 2015 by Dementia Friends. 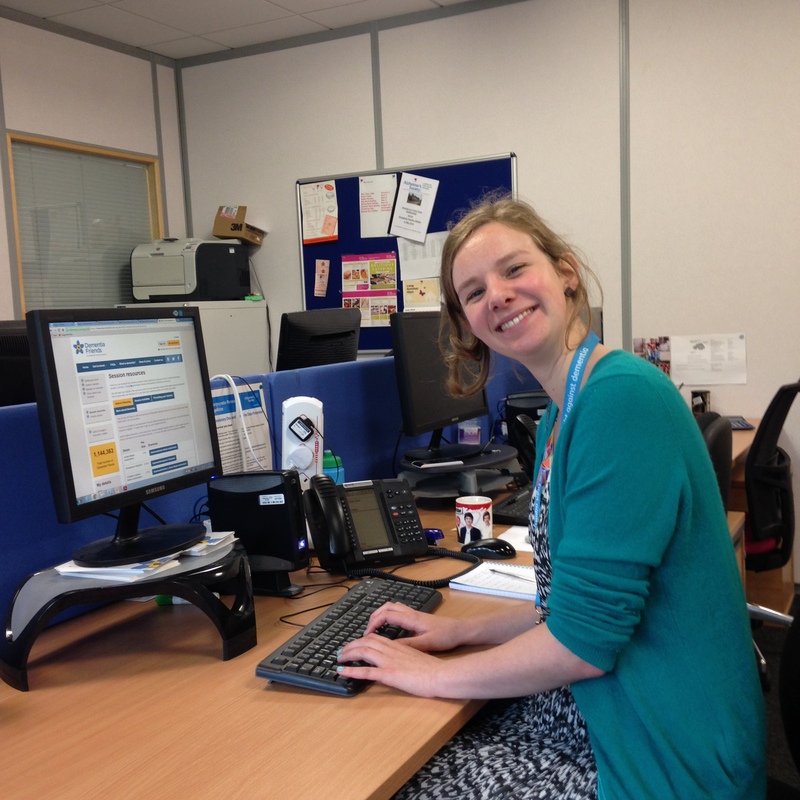 This entry was posted in Session Resources / Tips on July 10, 2015 by Dementia Friends. Summer is here, the sun is shining (and we all know that that’s a rare occurrence) so let’s make the most of it and deliver our Dementia Friends Information Sessions outside. 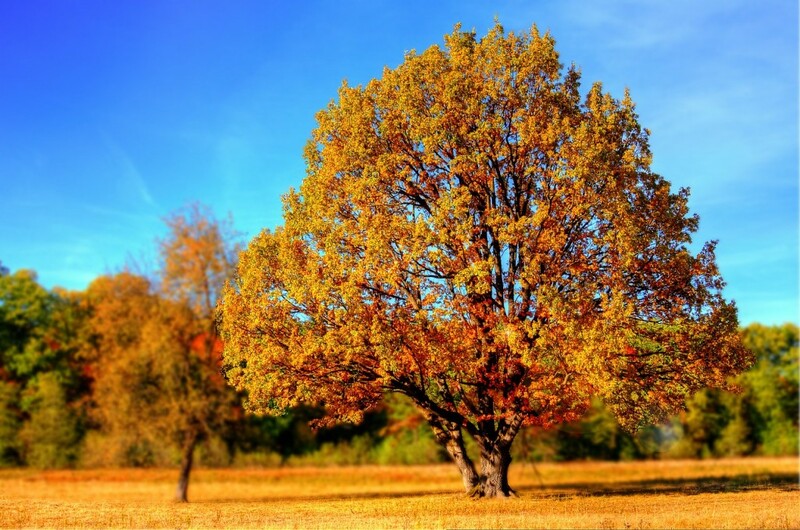 Here are a few ideas to get you started! England’s love of festivals continues to grow. With large crowds, this could be a perfect opportunity to spread understanding of dementia further. This entry was posted in Session Resources / Tips on July 9, 2015 by Dementia Friends. How to adapt your Info Session for the outdoors!